Die Castings USA uses a top-of-the-line die cast tooling design process for creating our molds from several material types. Depending upon the die cast project specifications, we mainly use Swedish DIEVAR Steel for tool construction. DIEVAR is known as a high performance, chromium-molybdenum-vanadium alloyed, hot work tool steel. Also, DIEVAR is produced with the very latest in production and refining methods. The specialized chemistry and manufacturing strength of DIEVAR, offer a nearly unmatched resistance to heat checking, gross cracking, hot wear and deforming. The molten metal is forced, under high pressure, into specially designed DIEVAR molds to create the part shape. This versatile process enables the production of a large quantity of small to large-size parts. These heavy DIEVAR steel dies can receive thousands of metal injection shots to manufacture identical Aluminum Castings and Zinc Castings. The Die Castings USA tooling and mold making workshop, has modern die-casting capabilities to quickly develop new products for an evolving market. Equipped with more than 30 sets of professional mold processing machines, we can develop all die casting molds used for die casting machines from 160T – 2,500T. 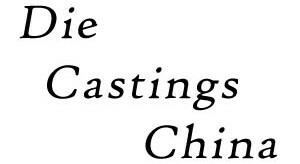 At Die Castings China, we have a separate company division that is completely dedicated to tooling and mold design. Our engineering team use computerized modeling to simulate the filling, cooling and expected shrinkage for highly complex components. This technique allows for thorough evaluation and refinement of the tooling design before tooling construction begins — and ensures that the tooling will produce the best possible part with optimal production efficiency. Our in-house mold making team can also assist in formulating a comprehensive testing program to ensure the final integrity of your parts. Our experience engineers provide perpetual tool and mold maintenance for the lifetime of our customer projects. This allows a dramatic cost savings that gets passed onto our customers throughout the United States and Mexico. Tooling requires a large financial investment – we keep these tools and molds in pristine condition.